Home » life » This homeless child approached a car to ask for spare change, but what he saw through the window brought him to tears. 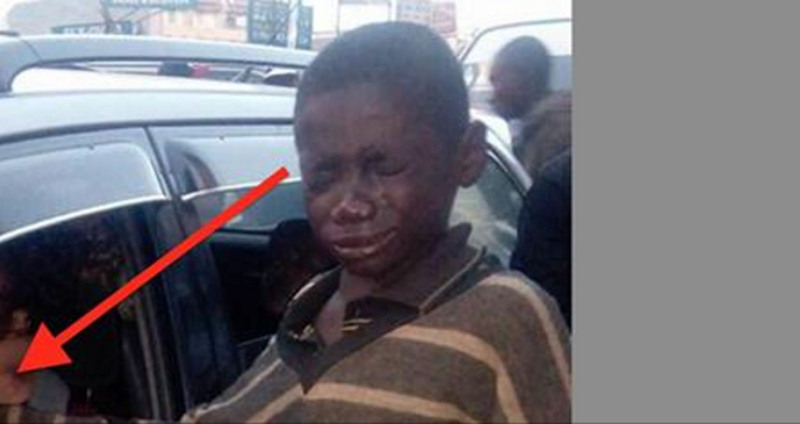 This homeless child approached a car to ask for spare change, but what he saw through the window brought him to tears. An abandoned, homeless child living on the streets of Nairobi, Kenya, has to beg to survive. John Thuo was one such boy. He would wait sometimes at traffic lights and when the light turned red he would approach drivers, asking for a little spare change. On one day in particular, John met a very unusual passenger and the two of them would end up changing each other’s lives forever. Her name was Gladys Kamande. When John glanced in the window of her car, he was taken aback. He saw several large machines attached to Gladys. He asked her what they were and why she was connected to them. She explained that she had suffered a collapsed lung which required her to carry around an oxygen tank and generator. John, having lived his whole life on the street, had never seen anything like it and was shocked. Like any child his age, John couldn’t contain his curiosity. He continued asking questions. It turned out that Gladys, at only 32, had already endured 12 surgeries, one of which broke her optic nerve and left her blind. John was so moved by her story that he began to cry. His life was tough, but he felt that hers was even tougher. He asked what he could do to help her. She took his hand and proposed that they pray together. After they prayed, John still wasn’t satisfied. He took out all the money he’d been given that day and gave it to Gladys. He was sure she would need it more than he did. It’s already extraordinary that a boy who’d been through so much wasn’t more hardened: instead he was instantly filled with empathy and goodwill. But what happened next was even more astonishing. A passerby heard the two of them talking, took a photo of them, and shared it online. It went viral. Thousands of people, touched by Gladys’s story and John’s kindness, contributed to a fundraising campaign to help pay for her medical care. Within four days, it had gathered $80,000. Gladys would be able to go to a special clinic in India for treatment. On the other side, Gladys — grateful to the little boy whose goodness had transformed her life — decided to take care of John. He is now off the streets and will be attending school instead. He will never have to beg again. He now considers Gladys his mother. When they say “pay it forward” they really mean it: you never know how quickly and generously the kindness will come back to you!